Jordan Brand is looking to impress once again with their Jordan Flight TR’7, which is set to come out in a clean-looking colorway this March. This high-top silhouette will be coming out in White/Varsity Red – Black – Cement Grey colorway and this edition of the Jordan Flight TR’97 is expected to make a lot of noise for it is arguably the one of the best if not best edition of this sneaker. This new Jordan Flight TR’97 will be available for just $115 so watch out for it! 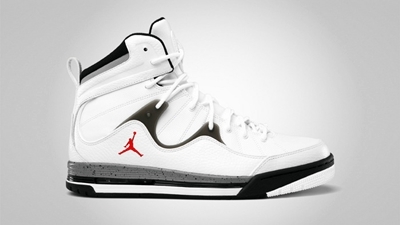 Jordan Flight-The-Power Set to Take Flight This January!